Earn $9.99 in VIP credit (999 points)What's This? 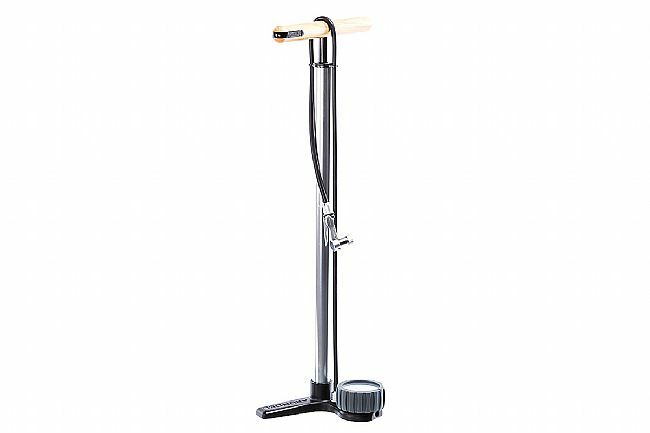 The Floor Pump 1 from Arundel features a highly durable anodized forged base, a smooth wooden handle, and a mandrel drawn aluminum tube. Internal steel parts help prevent rust and enhance longevity. 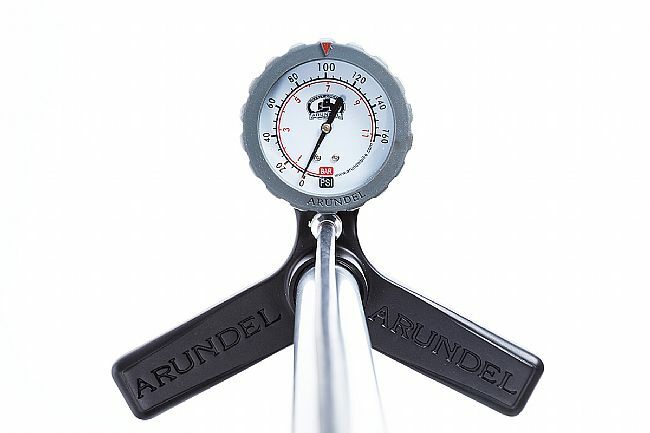 Large and easy to read, the 3-inch analog gauge provides both PSI and Bar pressure readings. 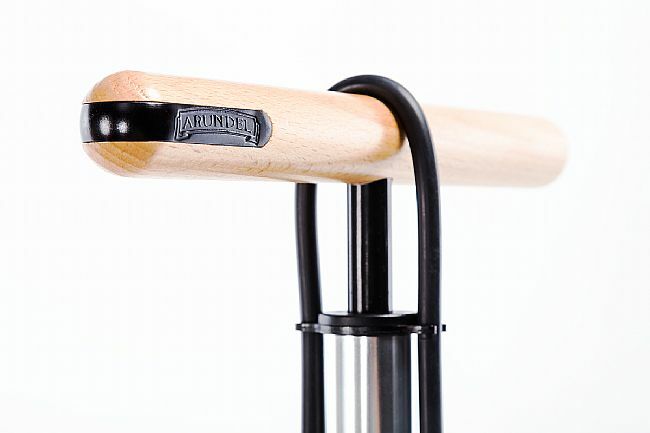 The thumb-lock style Presta-compatible pump head attaches securely and inflates quickly. 3-inch, easy to read gauge. Mandrel drawn aluminum tube ensures tight tolerances. Stainless steel internal parts prevent rust. In-house designed Presta pump head “Hansel” included. Thumb lock style with a serviceable grommet. 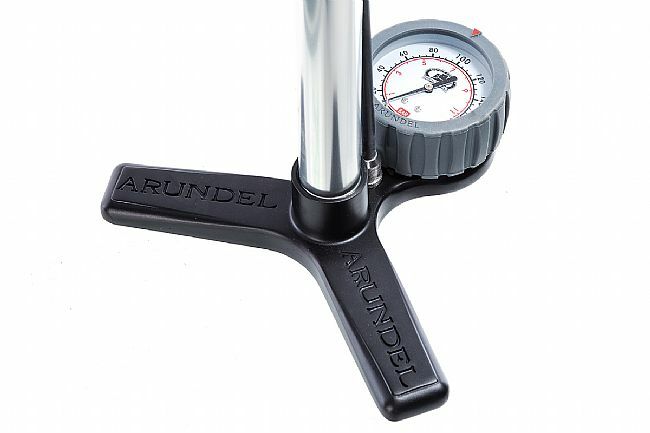 As a big fan of Arundel products I was excited to see what their quality approach would bring to a bicycle pump. As expected the pump has a purposeful, clean design and is very well built. 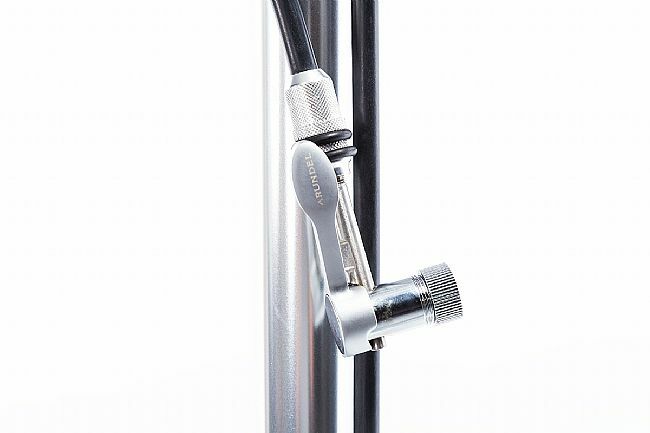 The valve head lever is easy to use, it never bleeds air, and the whole valve head assembly is made with chunky solid metal. Nice. My only complaint is that after about a month of every other day use, the valve head has started to intermittently pop off the valve stem when approaching 100 psi. I'll see how it goes, I may have to contact Arundel for a remedy, like a new inner gasket.